The Haryana Police registered two fresh first information reports (FIRs) against former state police chief S. P. S. Rathore and other officers on Tuesday, for allegedly lodging false cases against Ruchika Girhotra’s brother, trying to kill him and fabricating the post-mortem report after her death. With that, the national outcry against the trifling six-month sentence awarded to Rathore on December 22, for molesting 14-year-old Ruchika — who committed suicide three years after the incident — appeared to have made its first dent. Panchkula (Haryana), Dec 29 : The Haryana police Tuesday registered two fresh First Information Reports (FIRs) against disgraced former top cop S. P. S. Rathore, including for attempt to murder and wrongful confinement, in the 19-year-old Ruchika Girhotra molestation case. 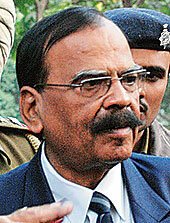 Rathore, former Haryana director general of police (DGP), has been charged with serious crimes like attempt to murder (Section 307 of the Indian Penal Code), criminal intimidation, wrongful confinement and conspiracy. Karnal (Haryana), Dec 29 : Former Haryana director general of police (DGP) R. R. Singh Tuesday offered to be a witness against disgraced police officer and teenaged girl Ruchika Girhotra's molestor, S. P. S. Rathore. Singh, who lives in this Haryana town, 130 km from Chandigarh, after retirement, said: "I am willing to be a witness against Rathore in any court that takes up the matter against him. My sympathies are with the Girhotra family." Panchkula, Dec 29 : Residents of a village in the Panchkula district of Haryana Tuesday accused tainted cop S. P. S. Rathore of illegally occupying 27 acres of their common village land as well as buying 13 acres of their private land after making false promises. Led by the village sarpanch (headman), over 20 residents of village Badhour Tuesday gathered at the house of Anand Prakash, complainant in the Ruchika molestation case, and levelled allegations against Rathore. Panchkula (Haryana), Dec 29 : Teenager Ruchika Girhotra, who committed suicide three years after being molested by former Haryana top cop S. P. S. Rathore, was remembered by people from all walks of life through a march held here on her 16th death anniversary Tuesday. The march started from the house of Anand Prakash, who has been fighting a legal battle against Rathore for the last 19 years, and culminated at Ruchika's old house where she consumed poison. Panchkula (Haryana), Dec 29 - S. C. Girhotra, father of teenaged molestation victim Ruchika, Tuesday submitted a fresh police complaint, seeking registration of a case against disgraced former Haryana director general of police S. P. S. Rathore and other police officers. Girhotra, who submitted the complaint to the Panchkula district police chief, sought registration of First Information Report (FIR) against Rathore and other police officers for conspiracy in slapping false cases of car theft against his son Ashu in the early 1990s. Noida, Dec 29 - A prayer meeting was held at Nithari village here Tuesday, three years after the discovery of the gruesome killings of at least 19 young girls and boys, allegedly by businessman Moninder Singh Pandher and his domestic help Surinder Kohli. About 50 families, including those of the victims, gathered a few metres from Pandher's bungalow -- D-5 in Noida's Sector 31 -- where all the killings took place. Chandigarh, Dec 28 : Hundreds of people of different age groups held a candle-light march here Monday evening to mark the day Ruchika Girhotra consumed poison 16 years ago after her molestation by former police chief S. P. S. Rathore. The marchers are seeking reopening of the case. Carrying candles, placards and banners, these volunteers, including representatives of many city-based NGOs, sought justice for Ruchika. Rathore was given a six-month jail term and a fine of Rs. 1,000 by a court Dec 21 -- 19 years after the incident. The marchers took out a peaceful protest in Sector 17, the commercial hub of Chandigarh. Chandigarh, Dec 28 : A greenfield thermal power project, completed ahead of schedule and expected to generate power at the lowest rates in the country, will provide additional 600 MW to Haryana after it is synchronised Tuesday. Built in 35 months, compared to 39-42 months that such projects normally take to be set up, the Rajiv Gandhi Thermal Power Project (RGTPP) at Khedar in Hisar district, 300 km from here, will be synchronised by Chief Minister Bhupinder Singh Hooda. Panchkula (Haryana), Dec 28 : Aradhana, staunch friend of Ruchika Girhotra, has launched an online signature campaign to garner support for reopening of her dead friend's molestation case. "We have started a signature campaign in which we are collecting signatures of people who are in favour of reopening of the case. Besides, to associate people who are sitting at far away places, we have created an e-mail address 'joinaradhna4ruchika@gmail.com'," Aradhna, lone eye-witness in the case, told IANS. Panchkula (Haryana), Dec 28 : Anand Prakash and his family members are preparing to observe the 16th death anniversary of Ruchika Girhotra Tuesday by visiting the place where she spent her last days of life. "Tomorrow (Tuesday) is the 16th death anniversary of Ruchika. We would go to house number 363 in Sector 6 in Panchkula where she committed suicide. There we would light lamps in her memory and observe one minute's silence for the peace of her soul," Prakash told reporters here Monday. Chandigarh, Dec 28 : With cold wave prevailing in most parts of Punjab and Haryana Monday, met officials are predicting a further dip in the temperature and the presence of fog during early mornings and late evenings. According to met officials, Amritsar in Punjab was the coldest in the region Monday with a minimum temperature of zero degree Celsius. Ludhiana, the industrial hub of Punjab, recorded a temperature of 0.2 degree Celsius while Patiala registered 2.4 degrees Celsius. Panchkula (Haryana), Dec 26 - Former Haryana police chief S. P. S. Rathore, convicted of molesting 14-year-old Ruchika Girhotra, should be stripped of all honours and the state government should compensate the victim's family, Ruchika's friend Aradhana's father Anand Prakash said Saturday. "Although six-month imprisonment is nothing before the gravity of crime but still we are satisfied that the court has identified Rathore as a culprit. Now we want the concerned authorities to intervene and to strip him of all rewards and medals," Prakash told IANS. Chandigarh, Dec 25 : The following is the chronology of events in the Ruchika Girhotra molestation case and subsequent events. 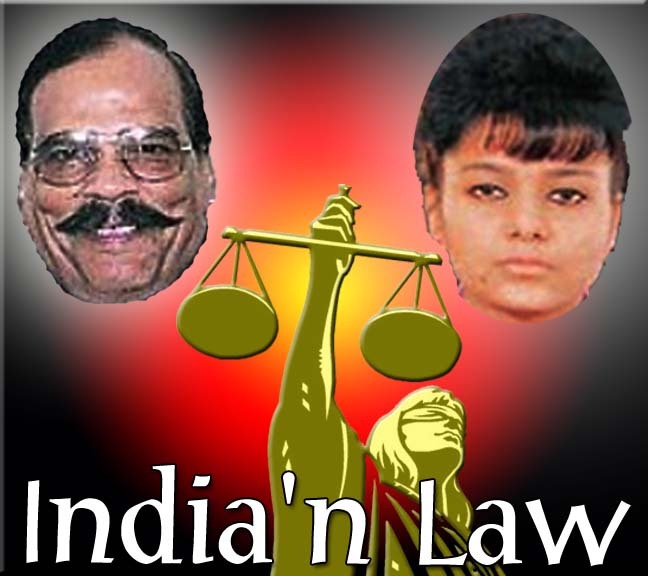 * Aug 12, 1990: Haryana Inspector General of Police (IGP) S. P. S. Rathore, also the Haryana Lawn Tennis Association president, molests 14-year-old budding tennis player Ruchika Girhotra in his office room. * Aug 16, 1990- Complaint made to chief minister Hukam Singh and home secretary. * Aug 17, 1990- Hukam Singh asks Director General of Police (DGP) R. R. Singh to investigate the matter.